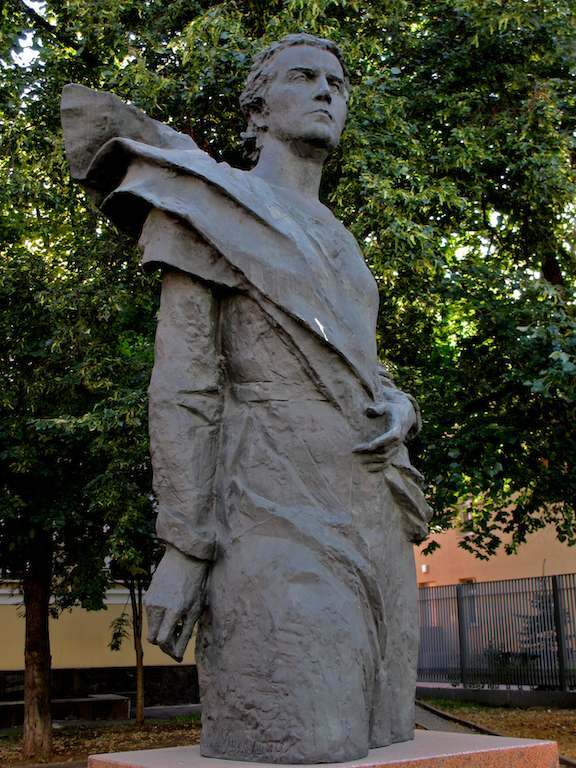 This sculptural image of Vera Mukhina (1889-1953) is relatively small, which is an interesting thing. 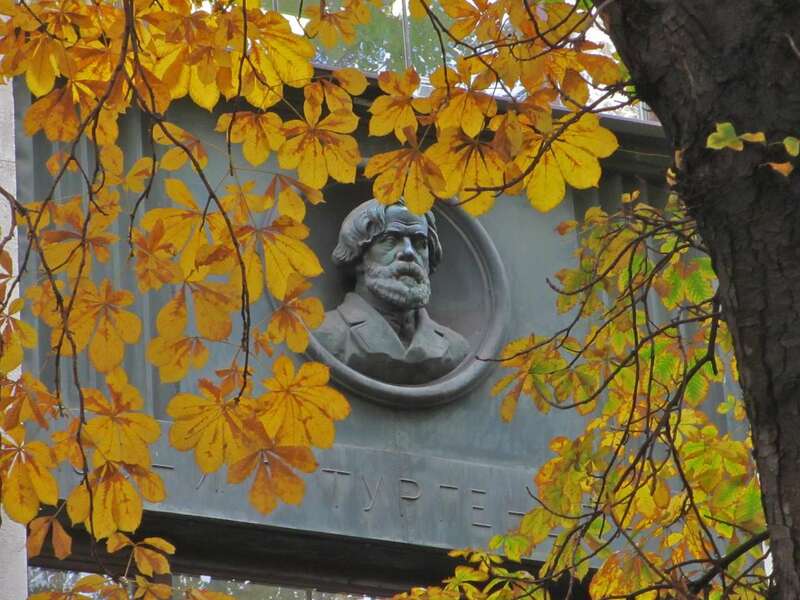 Mukhina was one of the most prominent and important of all the monumentalist sculptors. Many of her works were huge. 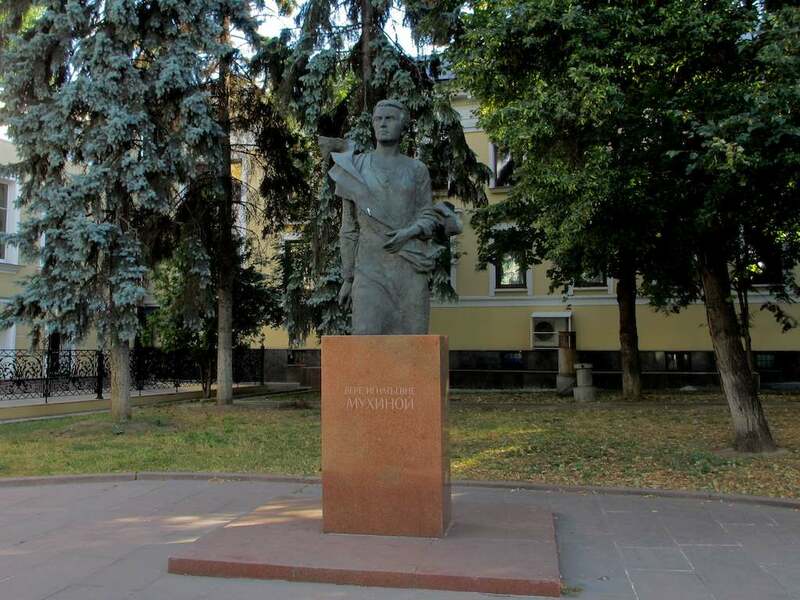 Easily her most famous is The Worker and the Kolkhoz Girl, which has stood for decades at the entry to the Exhibit of National Achievements in Moscow. It was set up there after first being unveiled – with wild international success – at the Paris World Fair in 1937. 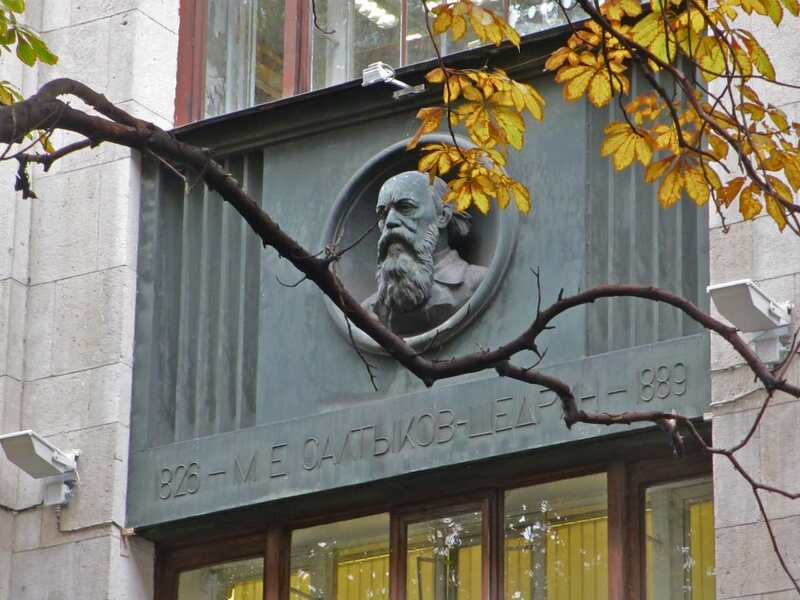 The fascinating School of Life site has many unusual tidbits about Mukhina’s life and work and it points out that the sculpture, created in Moscow, weighed 75 tons and had to be cut into 65 segments transported on 28 train cars in order to get it to Paris. 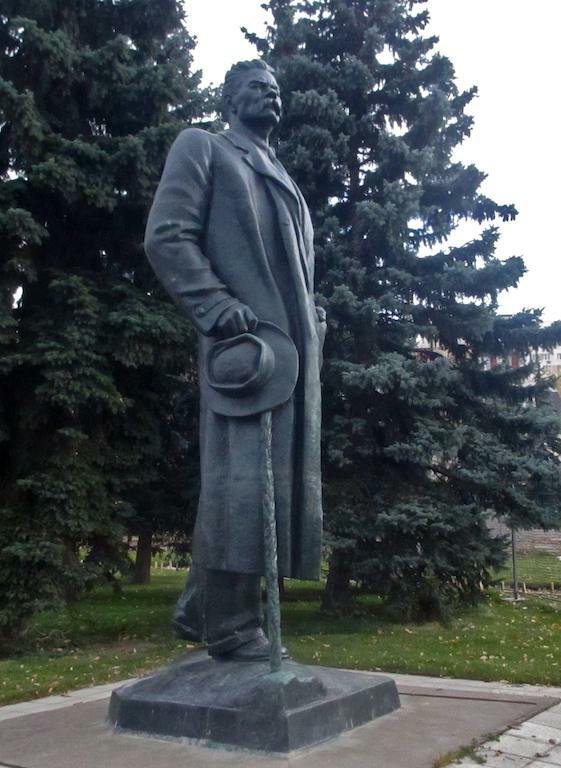 So famous is this sculpture I would say that for awhile it has worked against Mukhina’s reputation. 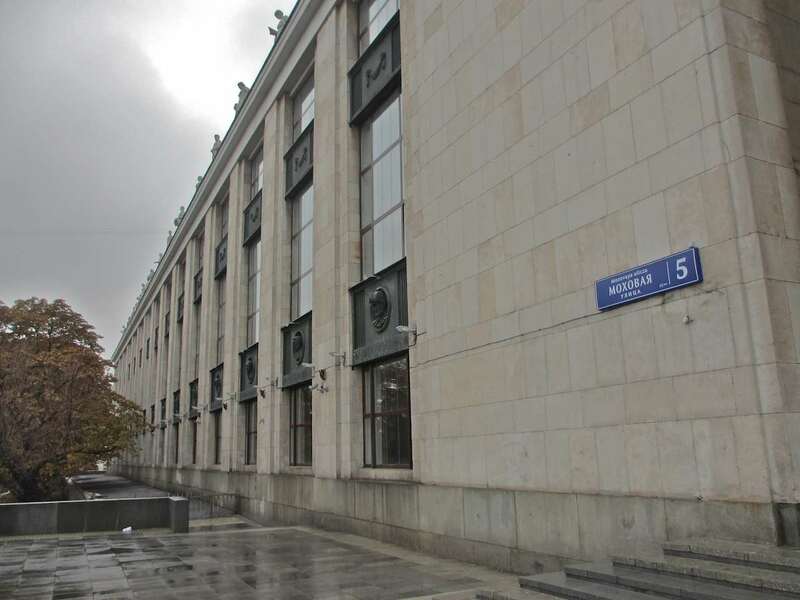 The figure of a young man and a young woman marching forward in lock step as they hold a hammer and cycle on high is so ubiquitous and is so bound up in images of stagnant and hostile eras of Soviet history, that it has long been hard to appreciate the work on its own merits. It looks much more like a cliche than a great work of art today, at least until you stop and take the time to ponder it. 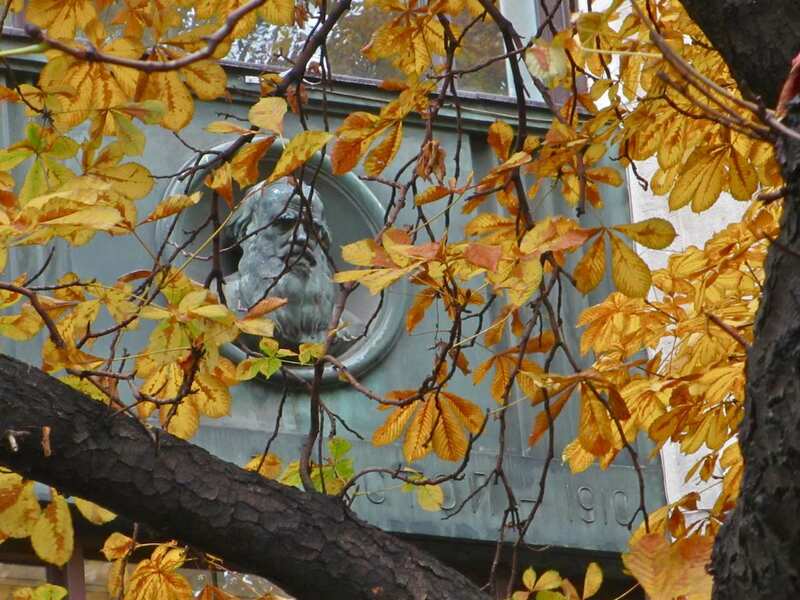 There is no doubt that Mukhina was tight, in some ways, with a state that saw and used monumentalism as a way to express and reinforce its superiority. 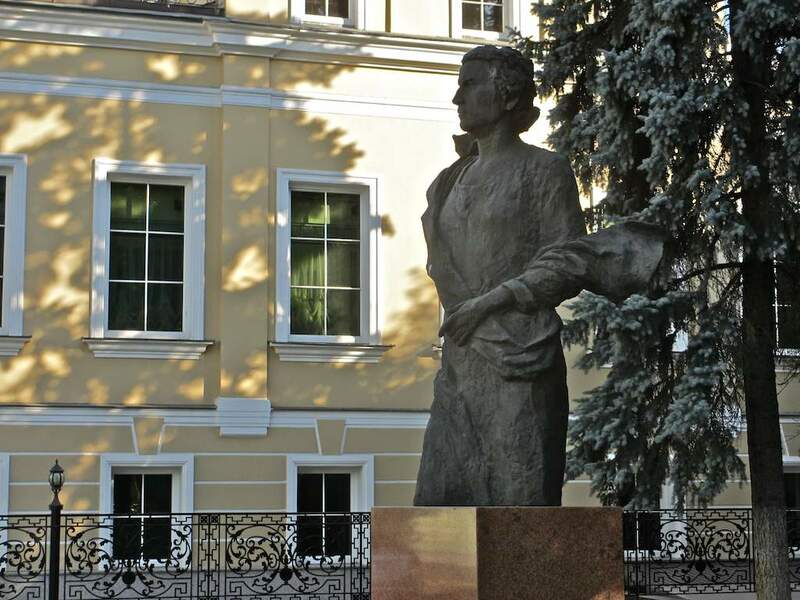 Mukhina was the recipient of five Stalin Prizes in her career (1941, 1943, 1946, 1951, 1952). She was given prestigious commissions to create centrally-located, highly visible public art. 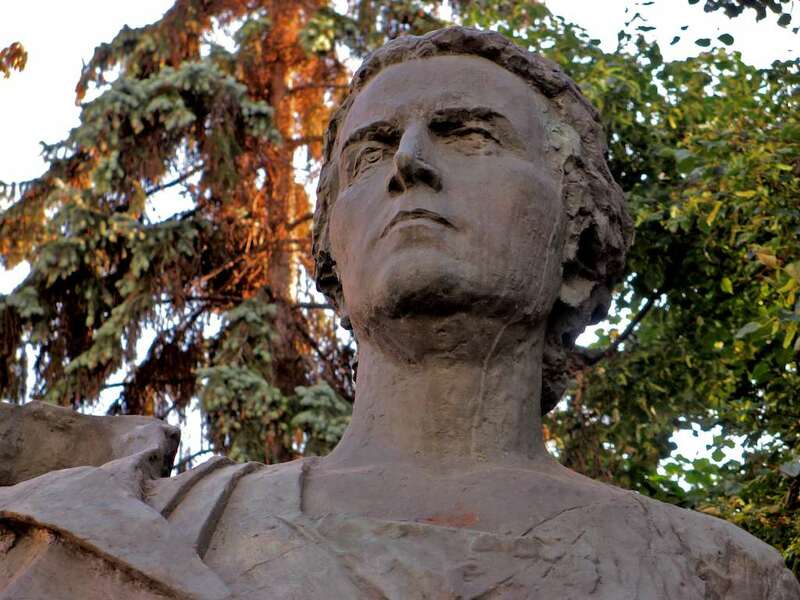 According to her son, however, she never once created a bust or sculpture of leading Soviet politicians, although she was asked to many a time, and her husband, the prominent doctor Alexei Zamkov, was repeatedly harassed by the authorities in those moments when he wasn’t being spared or given unexpected opportunities. In short, the family walked a narrow line in a very difficult time. 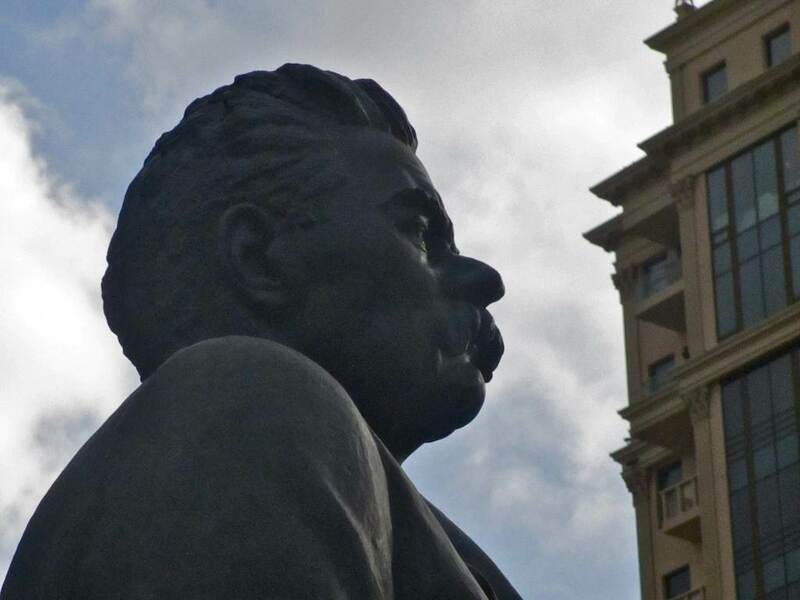 I wrote in late May about a monumental sculpture of Maxim Gorky that Mukhina was instrumental in completing shortly before her own death and 10 years after the death of the primary sculptor Ivan Shadr. 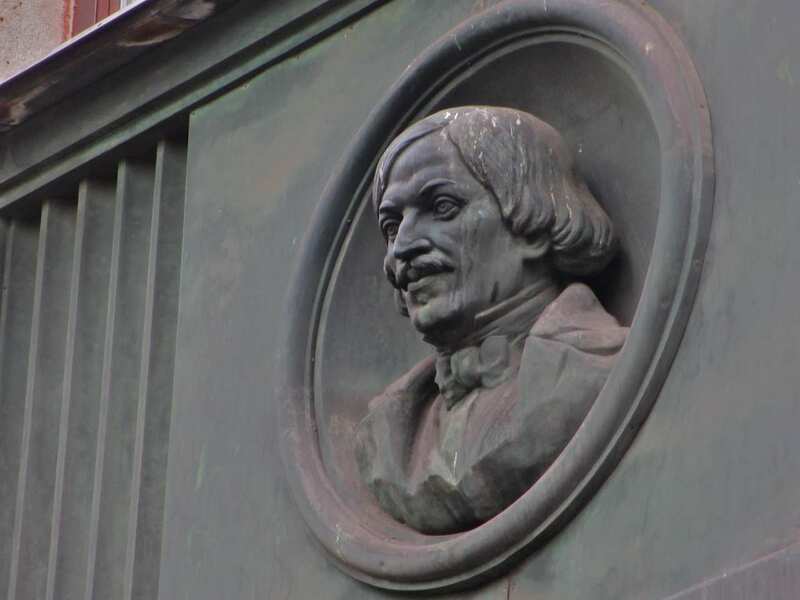 When one digs into the details of Mukhina’s life one sees why she may have been compelled to help finish the image of Gorky – he was instrumental in obtaining permission for Mukhina and her husband to return to Moscow from exile in Voronezh. They had attempted to slip out of the country in the early-to-mid-1930s and were caught, detained and exiled. 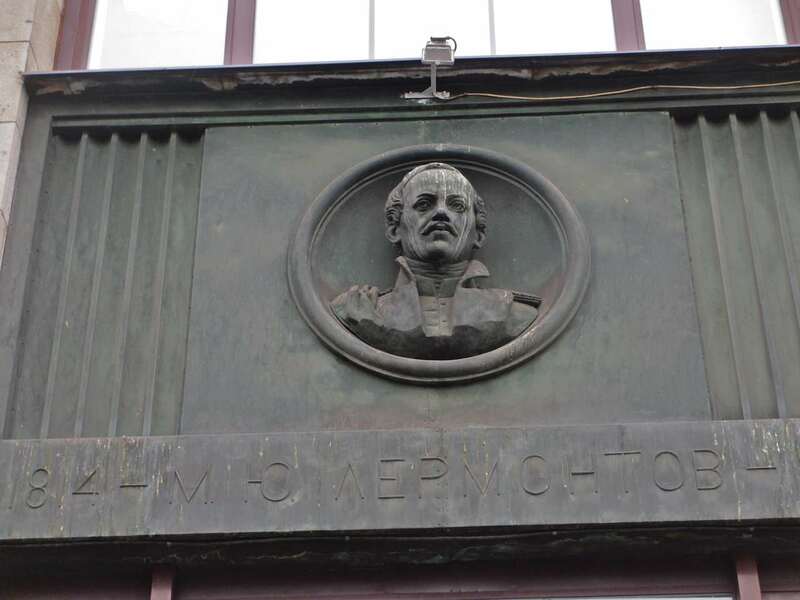 Another of Mukhina’s most famous works is the monument to Pyotr Tchaikovsky which stands before the Moscow Conservatory. That was no easy commission, however. 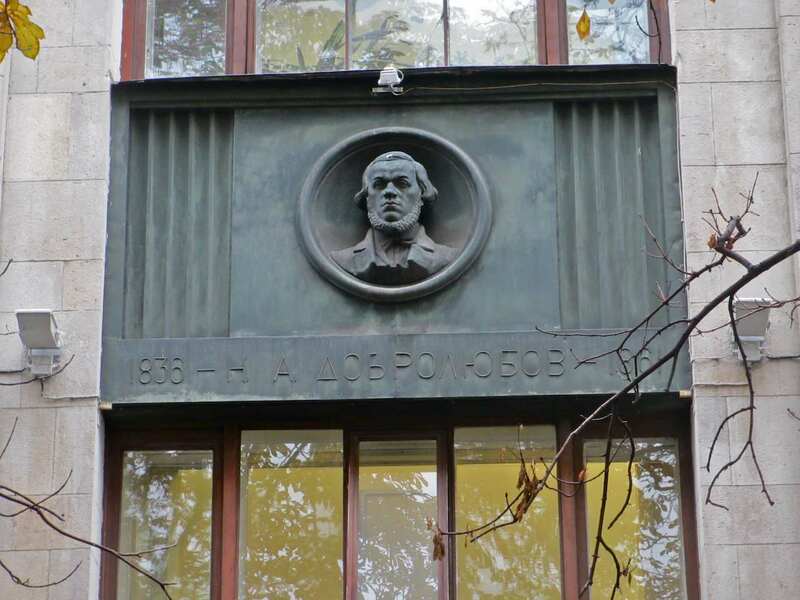 The original commission was made in 1940 but work was interrupted by the war. 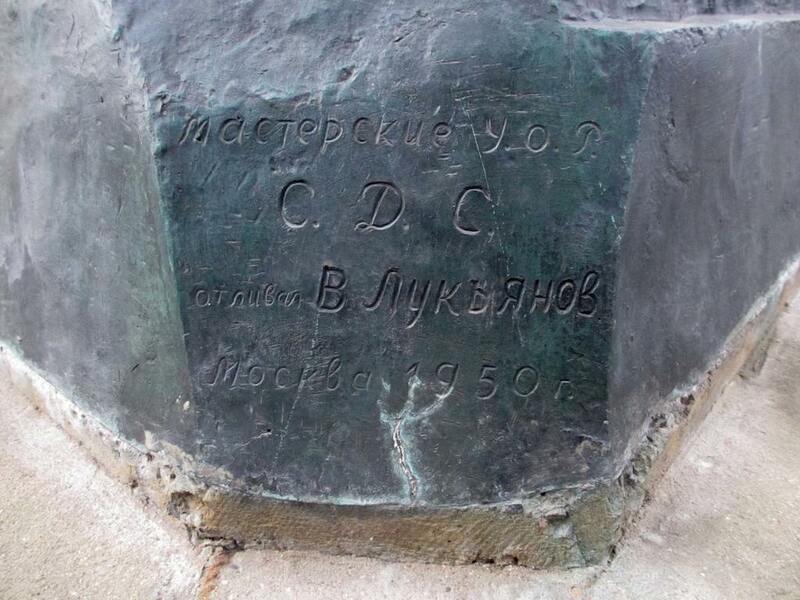 Only in 1945 did Mukhina present her first “draft” of the future monument. It, however, was rejected by the inspection board. A second variant was given the okay two years later, but it still took eight more years to get the official order to place the sculpture before the Conservatory. 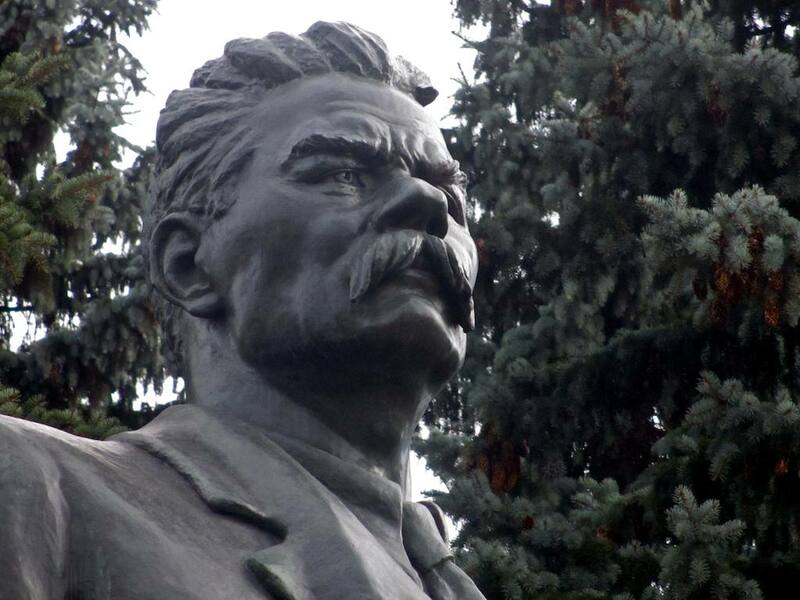 By the time of the unveiling in 1954, Mukhina had been dead for nearly a year. 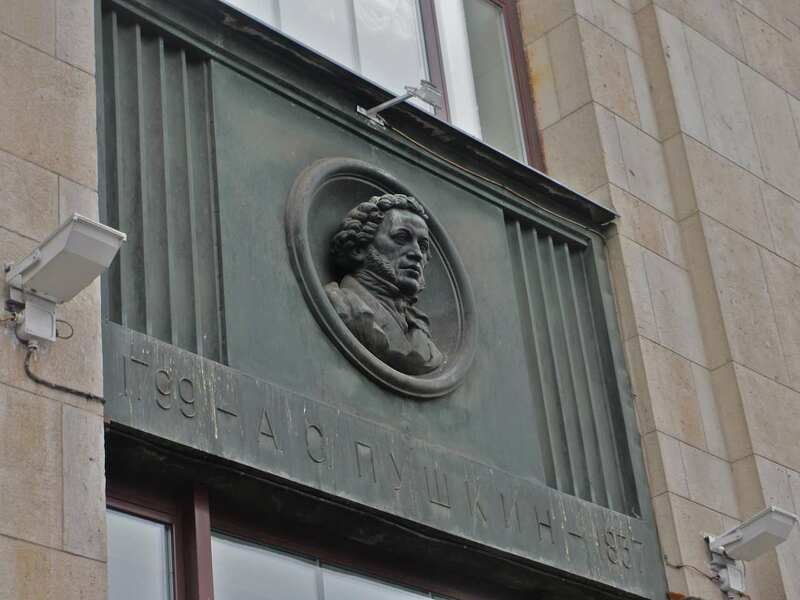 The likeness of Mukhina stands on a tiny, nameless square more or less at the intersection of Prechistensky Lane and Prechistenka Street in the Arbat region. 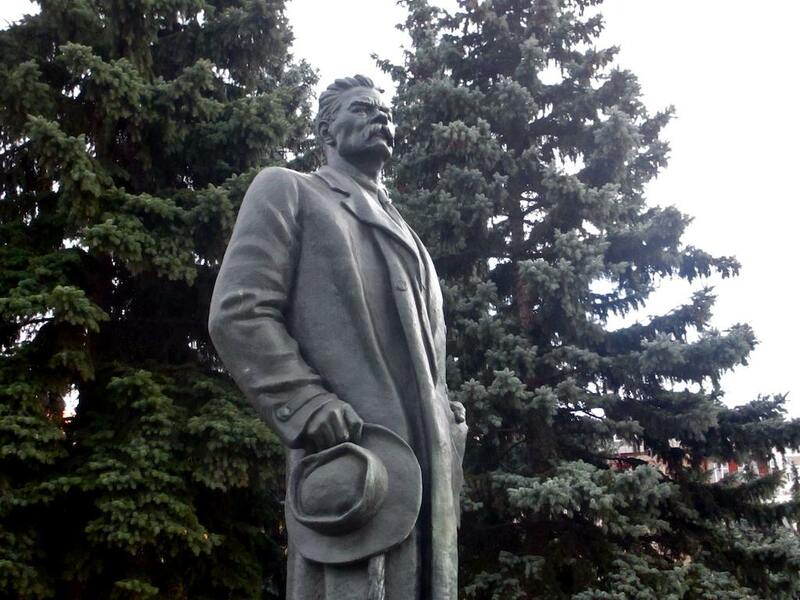 Sculpted by Mikhail Anikushin with the aid of architect Sergei Khadzhibaronov, it was unveiled in 1989 as part of the celebration of Mukhina’s centennial. The piece reflects her reputation as a principled person with a difficult personality. I mention that latter bit only because you run across it a lot when reading about Mukhina. I don’t doubt it’s true, knowing what I know about her life, her work and the era that she inhabited. What I do doubt is that there is anything of value to be had in applying such epithets to her. 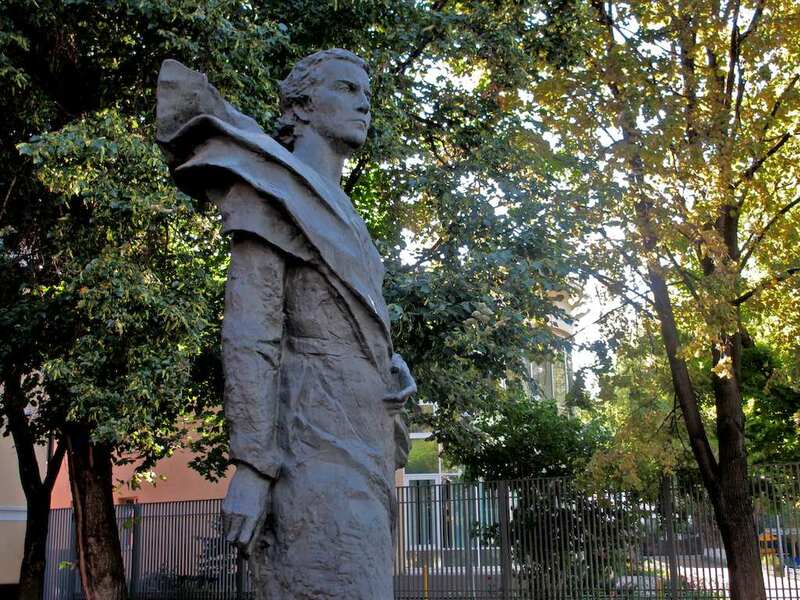 That she was a strong person with a strong vision is already evident in the fact that she made sculptures weighing 75 tons. It’s also evident when you consider the tight-rope walk she and her husband had to walk in order to keep working and living. In other words, I report that bit of information that everyone else reports, but I encourage you to toss it out as useless. 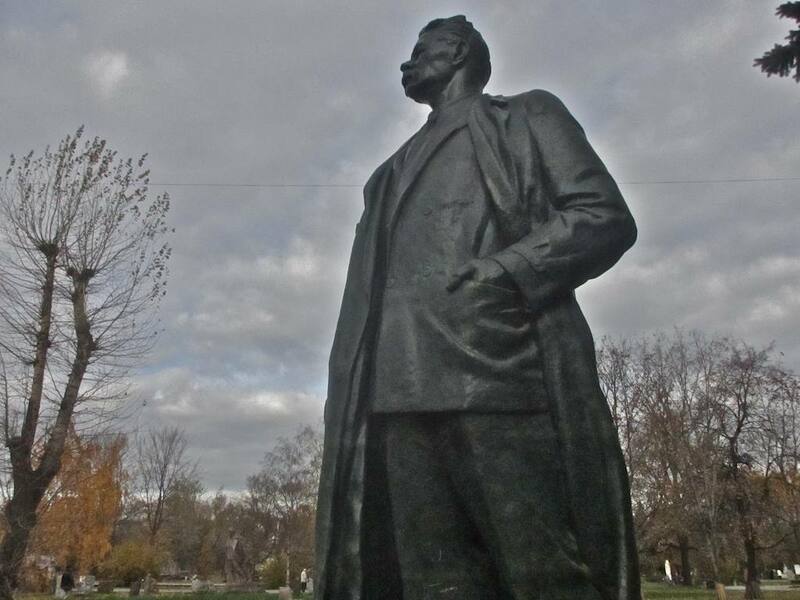 Anikushin – perhaps – shows Mukhina wrapped in the same scarf and buffeted by the same wind as the young man in the sculpture of The Worker and the Kolkhoz Girl. 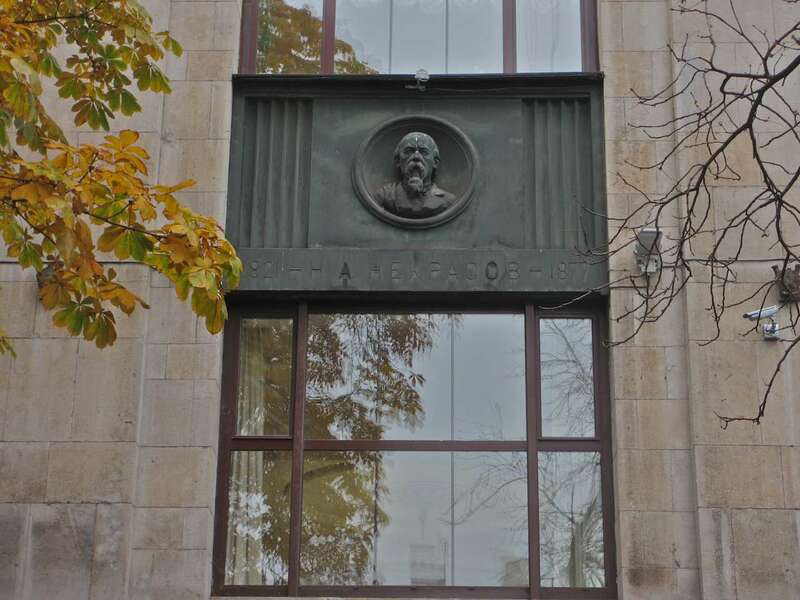 It’s a nice little quote and it works especially well because, as I said, this sculpture is relatively small and, in no way, attempts to approximate Mukhina’s own work. Anikushin also did a nice job of imparting to Mukhina’s expression that strength we know she commanded, even if it might be a tad off-putting, while also giving her a very human, thoughtful gaze. There is, in other words, a subtle mix here of the public and private flowing back and forth into one another. 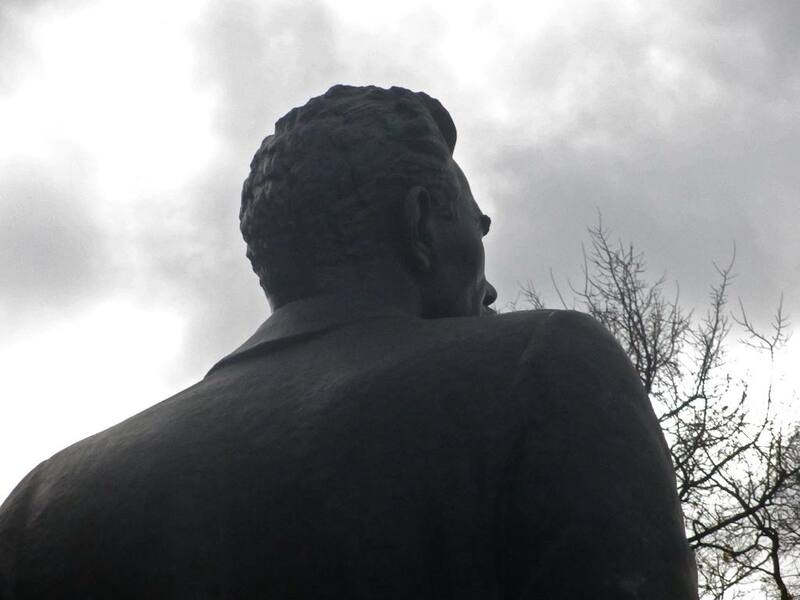 There is something in that which captures the essence of at least one aspect of the Soviet experience.